Up until a few weeks ago I had never heard of Tara Cooper before. I learned about her from reading my May/June 2015 edition of Networking Times. After reading her story in the magazine, I was more than impressed! She’s a great lady with an amazing leadership ability. She is a true credit to the network marketing industry, a real network marketing professional. What I want to do in the rest of this post is share six Tara Cooper quotes that I enjoyed in the article. 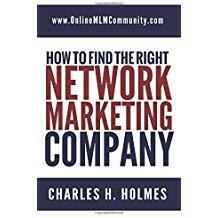 These quotes provide some great insights on building a successful network marketing business. After each quote I will share my own two cents on the topic. Each quote is in bold and italics. Enjoy. # 1 I was more focused on enrolling people rather than supporting them. Looking for anyone who has ‘a pulse and a credit card’ is not the way to create a sustainable business. Many people in our industry are so desperate to recruit anyone and everyone. At the end of the day, you want to look for quality people. You are looking for people who are committed, who have a big burning desire, a large sphere of influence, good contacts, some disposable income, and the resources to build a business. Yes, anyone can be successful, but it makes sense to work smart and look for quality people. Yes, you will have to recruit a bunch of people to become successful. Yes, most people will quit or do very little at all. Your responsibility as a sponsor is to offer help to everyone on your team and support them as best as you can. As I see it, it makes more sense to work with the people you sponsor (and work in depth) than just throw a bunch of mud against the wall and hope something sticks. # 2 Stick with the basics and let the tools work for you. Keep the business as simple as possible. Don’t be the message. Be the messenger instead. Use third party tools whenever possible to do most of the heavy lifting for you. This keeps things simple. Not everyone can give a good presentation, but anyone can use a third party tool. # 3 If we embrace social media, we will never run out of people to talk with. Most people on Facebook have anywhere from 200 to 500 friends, if not more. Most of your friends each have 200 to 500 friends. Using this example, most people have access to 40,000 (200 x 200) to 250,000 people (500 x 500) just from the people that they know and the people that they know. If you understand this you will never run out of people to talk to. Make a friend and meet their friends. That’s some of the best advice I can give you. # 4 True leaders don’t ask us to do something they haven’t already done. As a leader you want to set the example for your group. Lead by example. Never ask someone to do something you haven’t done yourself. If your person is new HELP THEM get started so they can be successful. Be accessible, be available, and be helpful! # 5 Never give up. Without a doubt, the number one reason so many people don’t get good results in our industry is that they don’t stick with it! You will not build a successful business in three to twelve months. Good things take time. You need to show up every day, do the work, and never quit. As long as you do something to grow your business every day and you never quit, you will eventually succeed. Have the long term view with your business. # 6 Make sure you find the company that’s right for you. There are lots of great companies in our industry. At the end of the day, you need to partner up with a company that makes sense to you. It helps to find a product line you can get excited about. Also, you want a product or service that is in demand and used by the masses. Sometimes, you might have to try two or three different companies until you find a good fit for you. Most people aren’t successful with their first company. Learn how to find the right company. Tara Cooper is a top earner with Isagenix. She joined the company in 2009 and within three years she was earning a six figure income. Get in touch with her by visiting her website. There you have it folks. These are six business lessons I learned from Tara Cooper in the May/June 2015 edition of Networking Times magazine. What do you think? What is your favorite quote listed above? Leave a comment below to let me know what you think. I look forward to hearing from you. I definitely think the social media tip is a good one. I’ve seen that sometimes older people shy away from social media and I think they miss out on some great opportunities to connect and build. I’m not saying social media should be the only or even the main forum used, but it cannot be ignored. Millions of people use these social media platforms, but if you are connected to just 100 of them you still have expanded your reach and impact without having to leave your home. When done right, social media is very powerful. I really like how she pointed out that social media can be used to our complete advantage; with that I must add that we have to be careful we do not get so caught in social media that we neglect to help the people we have already sponsored, or take care of all other responsibilities. I am also in full agreement with finding a MLM that has a product line that is exciting and you love. If you are selling products that you do not respect, the business probably won’t last long. Tara has done quite well in Isagenix. Thank you for sharing. Yes, you should definitely have a product line that excites you.